ST. LOUIS, MO (KTVI)- The 15-year-old girl previously taken into custody for the deadly hit and run crash in downtown St. Louis last month has been released. Bapi Gupta, 50, was struck on June 28th while crossing the street outside of the Broadway Oyster Bar. Gupta died a few days later. 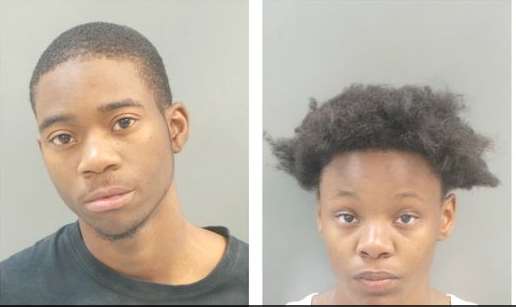 Police say Dontae Jackson, 18, and Trena Williams, 17, have been arrested. Jackson has been charged with involuntary manslaughter, leaving the scene of an accident and making a false report. Williams has been charged with making a false report. Jackson admitted to driving the Mercedes at 80-90 miles per hour when he struck Gupta around 2:30 a.m.
Court documents revealed Jackson and his girlfriend Trena told police the 15-year-old was driving. However, another passenger said Jackson was behind the wheel, which he later admitted to police. The 15-year-old girl was a passenger in the car. Williams also admitted she had lied. Jackson has a $100,000 cash-only bond.